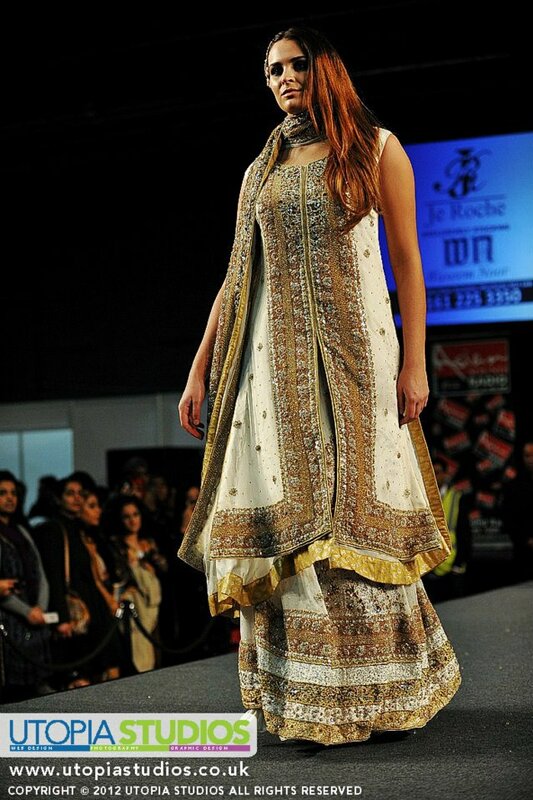 Following on from my post covering Alankar Sarees at the 2012 Asian Lifestyle Wedding and Fashion Exhibition, here's the collection from another store on Wilmslow Road in Manchester - Je Roche. 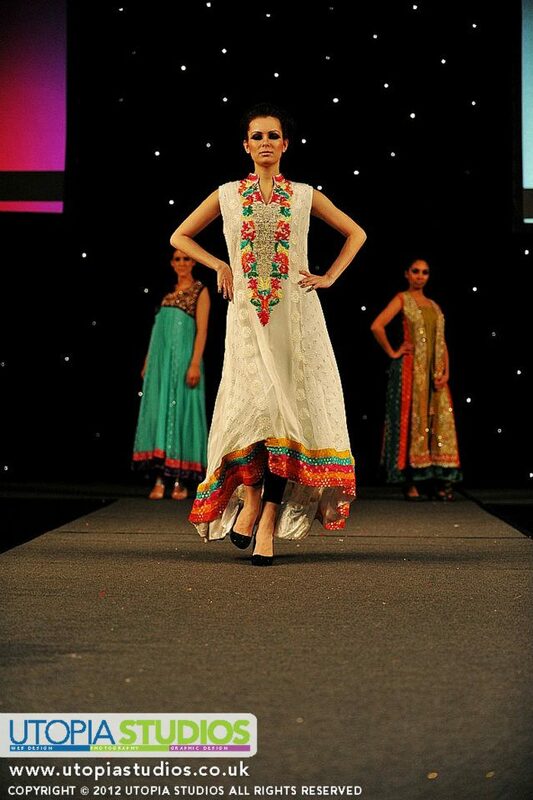 Their collection was composed of outfits by Pakistani designer Waseem Noor. If I had to pick a favourite, it would be this outfit below. In comparison to the heavily embroidered outfits in the same shade of blue above, I like the loose, flowing fit of this one. The show ended with some heavier outfits, I only managed to find a photo of one of these outfits, but you can see the rest in the video below. A big thanks to Utopia Photography Studios for these photos.